Your wedding has passed and you’ve finally got the pictures back that you’ve been dying to see! So now what? 1. Make Copies: The best way to preserve digital images is to make copies. You can do this a few different ways: save them to your computer hard drive and/or to an external hard drive, make copies for your parents or a trusted friend, store a copy in a safety deposit box or a safe. I know this may sound a little overkill, but trust us, hard drives fail, things break, and people accidentally delete things! 2. Organize: If your photographer hasn’t already organized your files for you, go ahead and organize your photos into categories on your computer. Below is a screen shot of how we do it. Another thing we find to be helpful is to make a folder on your computer and copy all of your favourite images into it. This will make ordering product, printing, and sharing your favourites much easier. 3. 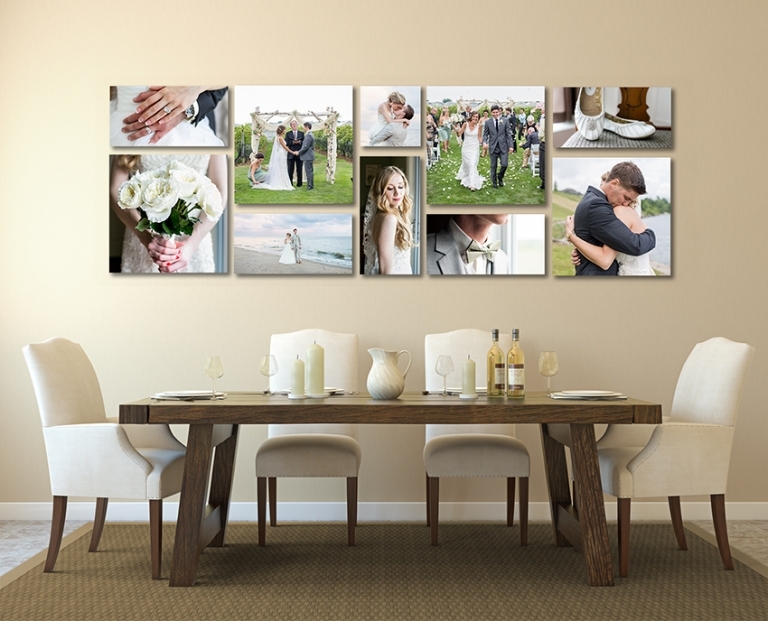 Print: Whether you plan on printing pictures yourself or buying them from your photographer, print or order some photos right away. We’re talking within a day or two of receiving your images. Life gets busy and before you know it, you’ll have other things to do. 4. Quality: Please do not print your images at a low-quality lab. You’ve paid a good amount of money for fantastic images, so do them justice by using a high-quality print lab. Most professional photographers (including us) will calibrate their editing to a specific pro print lab. As not all labs put the same care and consideration into calibrating their printers or using quality inks and papers, we recommend getting prints through your photographer. If you can’t get photos printed by your photographer’s pro lab, ask where they recommend you print that would be calibrated to their editing style. 5. Make Heirlooms: This goes along with my previous points of printing your photos. Besides making actual paper prints, there are a lot of great products that your photographer should be able to offer you. That includes canvases, framed prints, custom cards, and luxury albums. Your wedding day is the start of a new family. You’ll be so happy that you created a worthwhile heirloom for you and your future generations. As much as we live in a digital age, your future family members are going to want to see and touch something tangible to appreciate your first day of marriage. 6. Share with Care: It is in your best interest not to upload high-res files to Facebook or other social media websites. Facebook in particular can use whatever photos you upload for ads without your permission. Another thing to keep in mind is that others can download your photos and use them for whatever they want. If your photographer doesn’t already provide you with a watermarked lower resolution file for online sharing, ask them to! I recently read a great article by Mike Allebach that got me thinking. There is a scary new trend happening in the photography world, and that you can read about here. 7. Consider the Fine Print: Remember that long document you signed at the beginning of your wedding planning process? Well, that contract still applies to you. Take some time to refresh your memory about what your photographer expects you will do and not do with those digital files. For example, our contract states that it is up to us to give images to your wedding vendors. We want to know where the images are going, and how they are being used. Even though you have personal use rights, most photographers (including us) keep copyrights on the digital images. Another thing people often forget is to not edit, crop, or change the photos in any way. 8. Communication is Key: Be sure to tell your photographer if you have any issues with them posting all or certain images of you online. We understand that some people are more private than others, or that particular jobs require privacy. Don’t assume your photographer will not want to use your gorgeous images for advertising or blogging. Communication is key! 9. Give Feedback: Don’t forget to give feedback to your photographer. After hours of editing your images, we are dying to know how you like them! We want to know what you love, or maybe wish we did differently so that we can all feel great about your experience.